Arrival at NJP Railway Station / IXB Airport and transfar to Phuentsholing. Transfar to Thimpu from Phuentsholing and sightseeing. Sightseeing around Thimpu and Thimpu city tour. Transfar to Punakha from Thimpu and sightseeing. Transfar to Paro from Punakha and sightseeing. Sightseeing around Paro, Paro Tasking and Paro city tour. This feature ‘Haa Valley Jaunt’ explores one of the least visited areas of Bhutan, the unspoilt Haa Valley. 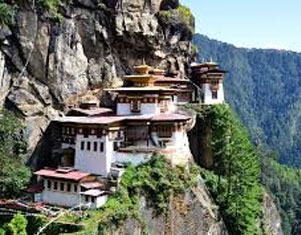 This tour also visits significant historical and sacred sites in the western valleys of Paro and Thimphu. Tranfar to Phuentsholing from Paro. Drop to NJP Railway station. -Tour End.